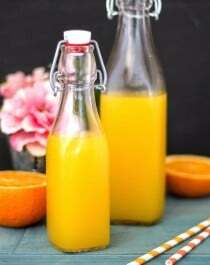 This Healthy Homemade Sugar Free Orange Syrup has all the flavor of fresh oranges but in liquid form! 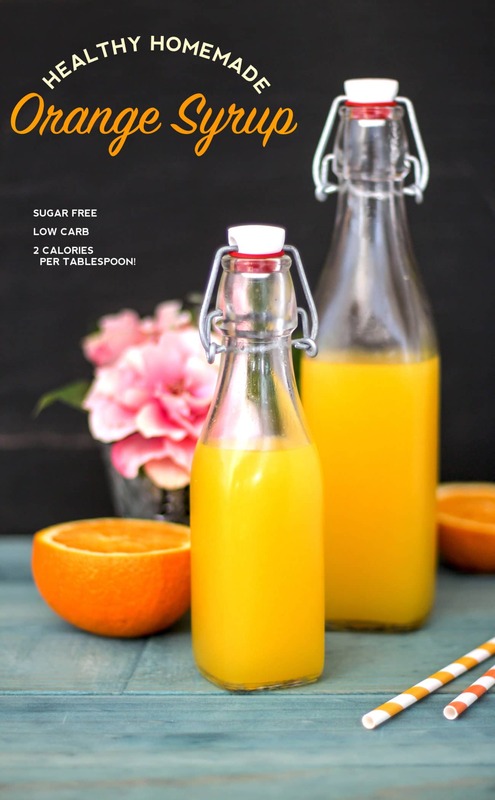 This all natural, low calorie syrup contains no high-fructose corn syrup, no granulated sugar and no artificial food coloring… just pure orangey goodness. This syrup is perfect swirled into yogurt, blended into a Carrot Cake Milkshake, drizzled over a creamy Vanilla Frozen Yogurt, and so much more. I’m not the biggest fan of eating fresh oranges (they’re annoyingly messy) but I love this Sugar Free Orange Syrup. I’ve made this syrup three times in the last two months. Every time I make a batch I like to lick any syrup remnants I can find on the blender or spatula. All I thought was, “Ohmigoodness this tastes like candy. A liquefied orange candy!” (I love love love being the quality assurance worker in my kitchen) Super sweet of course, not meant to be eaten by itself, but WOW the flavor is absolutely delicious. How to make sugar free syrup. 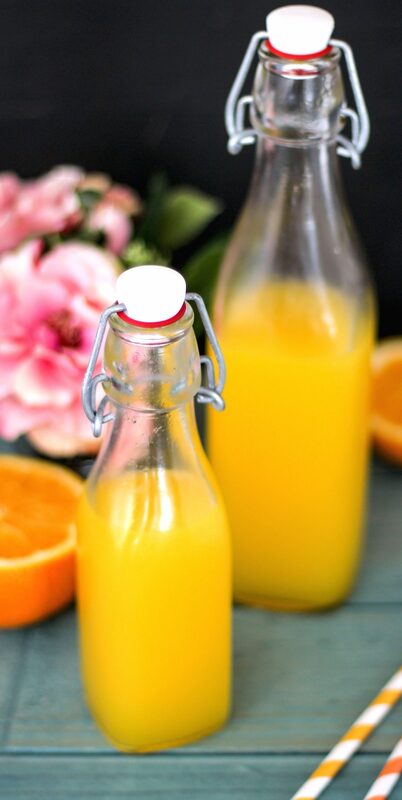 This Healthy Homemade Sugar Free Orange Syrup has all the flavor of oranges but in liquid form! 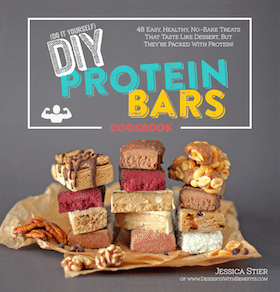 Fat Free, Low Carb, Paleo, Keto, Vegan. 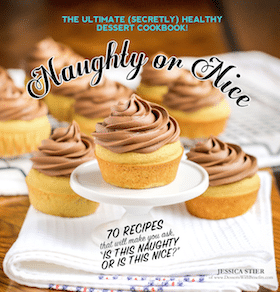 In a blender, add the water, orange flavor, stevia extract, lemon flavor, and natural food coloring. Blend until smooth. In a tiny bowl, whisk together the xanthan gum and salt. While blending, slowly add this to the blender (don't dump it in all at once, otherwise it'll clump). 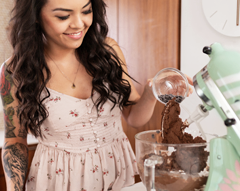 Pour into pretty serving jars, seal tightly, and refrigerate to store. Keeps for about 2-3 weeks. As a comparison, here is the nutrition label for Torani’s Orange Syrup. I think it’s quite obvious that my syrup is better. Torani’s nutrition label is literally pure sugar… not the healthiest option when it comes to adding some sweetness to your life. Pure Cane Sugar, Water, Natural Flavors, Sodium Benzoate (preservative), Citric Acid, Potassium Sorbate (preservative), FD&C Yellow #6 (food dye). To sum it up, basically: sugar, preservatives + artificial food coloring. One thing I really like about this recipe is that it doesn’t require any cooking. Whenever I make syrups or caramels on the stove, I have the worst luck and it always ends up boiling over. Thankfully, with this recipe, you/I don’t need to worry ’bout that. food coloring, flavors, extracts??? how dare you call it healthy? If you take a closer look at the recipe, everything is NATURAL. The food coloring is natural, not synthetic (no Red Dye #40 here! ), the flavors are natural, not artificial, and the extracts? Those are natural too. Extracts are not unhealthy. I bet this would make a wonderful kind of orange soda syrup! YUM this looks awesome! Way healthier than the syrups available at the supermarket. Yummy! could I use this in an orange chicken recipe? In that I would bake it as a sauce instead of using orange juice?